Mark your calendars and tell your friends to join us for our 8th Annual Downtown Moneta Light Up Night. This year's event will be held on Friday, November 30th and our theme is, "'Twas the night Before Christmas". Live Music, Food, Vendors, and Give-Aways.Fee Carriage Rides and Santa! Also, this year we are adding a Gingerbread House & Display Contest. Stop by Lyons Team Realtors that night to register to win our Grand Prize Give-Away! You may be the winner of a gift basket including some items from our vendors, a Sterling Silver necklace, a COACH bag, gift cards, and so much more! If you're interested in being a vendor, please print the registration on this event page and get your form in by November 20th to get the early registration discount. 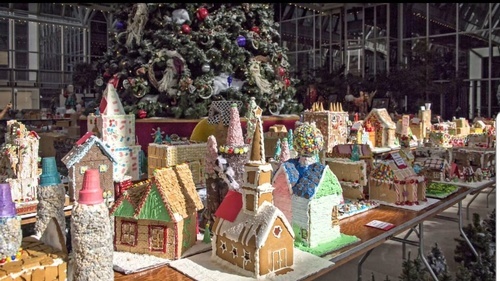 If you're interested in the Gingerbread House & Display Contest, print the Gingerbread registration on this event page and get your form in by November 20th to get the early registration discount!